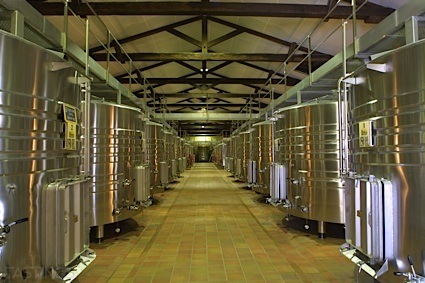 Bottom Line: A superb and distinctive zin laden with exotic spice and herbs; truly one-of-a-kind. 88 • Spangler 2015 Unoaked, Chardonnay, Southern Oregon 14% (USA) $21.00. 93 • Spangler 2015 Viognier, Southern Oregon 14.5% (USA) $21.00. 86 • Spangler 2013 Sangiovese, Oregon 13.5% (USA) $29.00. 95 • Spangler 2012 Zinfandel, Alexander Valley 14.9% (USA) $28.00. 82 • Spangler 2012 Tempranillo, Oregon 13.3% (USA) $27.00. 85 • Spangler 2015 Chardonnay, Southern Oregon 14% (USA) $21.00. 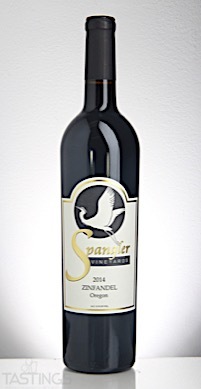 89 • Spangler 2013 Zinfandel, Southern Oregon 14.6% (USA) $28.00. 90 • Spangler 2013 Malbec, Southern Oregon 13.8% (USA) $30.00. 89 • Spangler 2013 Cabernet Franc, Southern Oregon 13.7% (USA) $28.00. 85 • Spangler 2013 Cabernet Sauvignon, Southern Oregon 13.9% (USA) $28.00. 88 • Spangler 2013 Claret, Southern Oregon 14.4% (USA) $28.00. 94 • Spangler 2014 Zinfandel, Oregon 15.5% (USA) $28.00. 93 • Spangler 2014 Sangiovese, Oregon 13.9% (USA) $28.00. 80 • Spangler 2013 Tempranillo, Oregon 13.9% (USA) $28.00. 88 • Spangler 2014 Tempranillo, Oregon 14.2% (USA) $28.00. 93 • Spangler 2014 Cabernet Franc, Southern Oregon 14.8% (USA) $28.00. 90 • Spangler 2014 Merlot, Oregon 13.9% (USA) $28.00. 92 • Spangler 2014 Petit Verdot, Oregon 14.9% (USA) $38.00. 91 • Spangler 2014 Reserve, Cabernet Sauvignon, Oregon 14.5% (USA) $50.00. 90 • Spangler 2015 Carmenère, Southern Oregon 14.2% (USA) $28.00. 90 • Spangler 2014 Claret, Southern Oregon 14.2% (USA) $28.00. Spangler 2014 Zinfandel, Oregon rating was calculated by tastings.com to be 94 points out of 100 on 10/18/2017. Please note that MSRP may have changed since the date of our review.